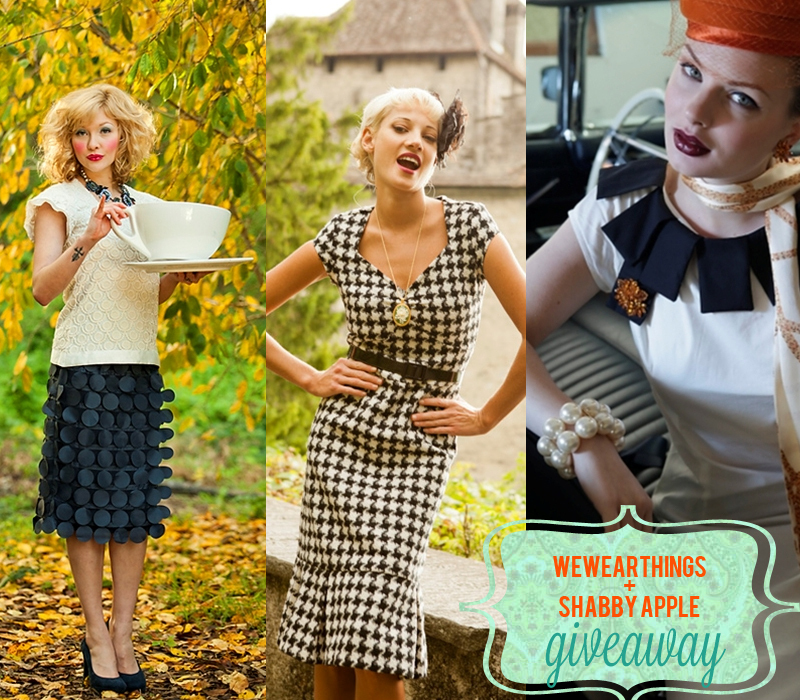 we're hosting a giveaway for a $75 gift card to Shabby Apple! they've got tons of cute retro type items. highly recommended for the upcoming holidays! - sorry only people with a US address may enter. Comments close on November 7th. 1) Like Shabby Apple on Facebook. 2) Leave a comment on this post and list your favorite Shabby Apple item, along with your email address. here's to hoping i win! fingers crossed! Really great giveway. But I am not in US. Have a nice day. That skirt in the first picture is really quite unique and adorable. Hope your week is going well! I'm in the US! Liked on FB and I want want want the Elizabeth Islands dress. Great giveaway! Shabby Apple has great dresses. My favorite is the Gray Fox right now.